Andrews Bald in the Great Smoky Mountains has an elevation of 5,920 feet, making it the highest grassy bald in the Great Smoky Mountains National Park. The mountain is one of two grassy balds maintained in the range by the park service. 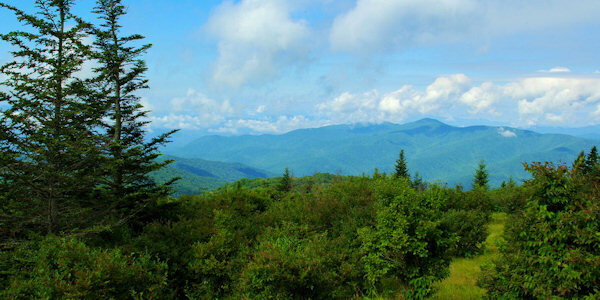 The other is Gregory Bald, in the western Smokies. The hike is about 3.6 miles roundtrip. The Forney Ridge hiking trail to Andrews Bald begins at the Clingmans Dome parking area. The 1.8-mile trail climbs about 1,000 feet in elevation with uphill and rocky sections. This hike trailhead is not accessible by car from December to April, since the road to Clingmans Dome is closed for the winter. Sturdy hiking shoes are recommended due to rocky and wet sections. No dogs are allowed on this hike. 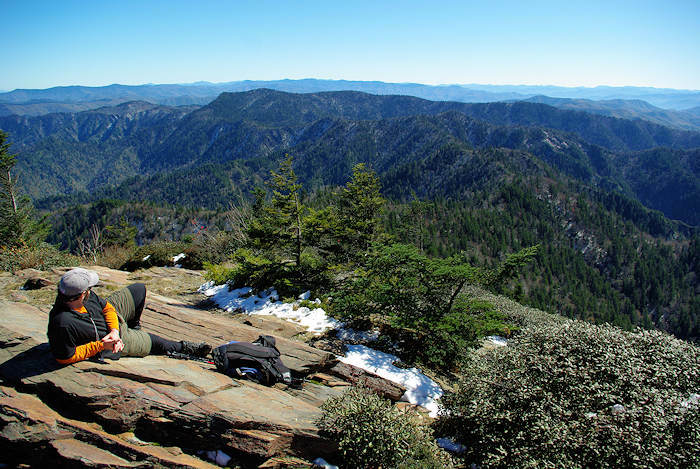 Andrews Bald is a double peak situated along Forney Ridge, just south of Clingmans Dome. 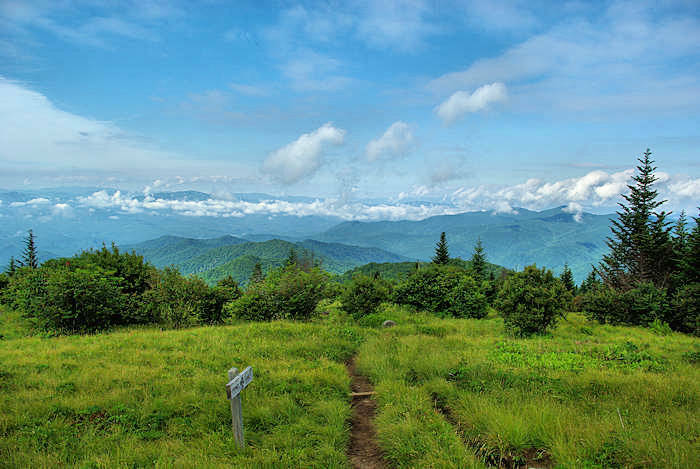 While you begin the hike in Tennessee, you will cross over into North Carolina to reach the bald. Unlike other balds (like Black Balsam Knob and Roan Mountain), the bald area of Andrews doesn't cover the summit, but spreads out around the south slope. How and why grassy balds form is a mystery. 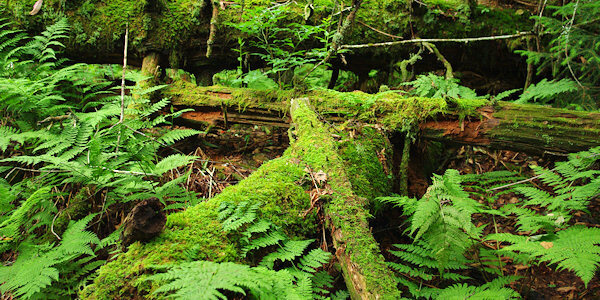 While cattle grazing maintained the balds throughout the 19th-century, the forest slowly started reclaiming them after the formation of the national park in the 1930s. Since this area receives about 80 inches of precipitation a year, the hiking trail is very lush and green through a spruce and fir forest. At just over a tenth of a mile into the hike, the bypass trail to the Appalachian Trail forks off to the right. To continue onto Andrews Bald, turn left (follow sign). You'll enter Andrews Bald at about 1.7 miles. To get the best views, continue for 500 feet for several acres of grassy area, perfect for picnics and great photography. Enjoy spectacular displays of flame azalea and rhododendron blooms in late spring and early summer. Directions: Turn off Newfound Gap Road 0.1 mile south of Newfound Gap and follow the 7-mile-long Clingmans Dome Road to the large parking area at the end. The Forney Ridge Trail begins adjacent to the start of the paved trail to the top of Clingmans Dome. 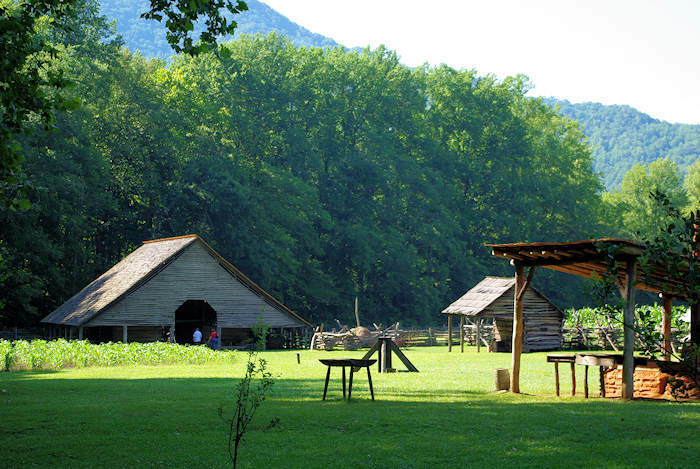 It's about 25 miles from Cherokee, North Carolina, and 75 miles from Asheville. 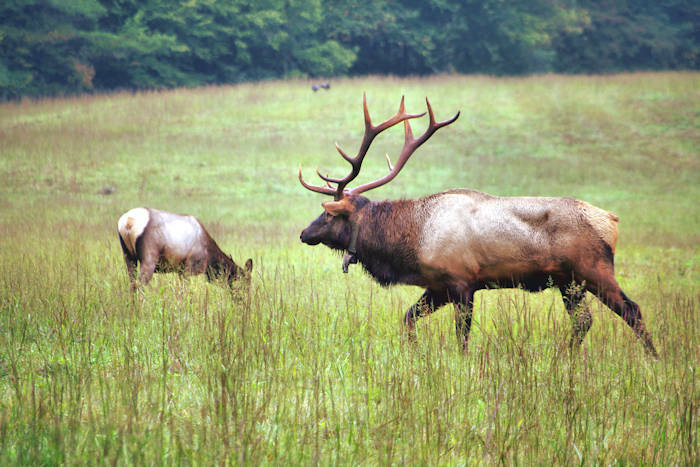 Read about other great hikes in the Great Smoky Mountains.